RALEIGH, N.C. (Nov. 24, 2014) � The N.C. Wildlife Resources Commission is joining other organizations in supporting the proposed management areas unveiled by the U.S. Forest Service for the Nantahala and Pisgah National Forests, located in western North Carolina. The U.S. Forest Service is revising its Land Management Plan for Nantahala and Pisgah National Forests, which will guide management activities for the next 10 to 15 years. As part of that process, the Forest Service has established two management areas, or zones, that encompass approximately 700,000 acres where activities, such as wildlife management, sustainable timber harvests, controlled burns or other measures, can be used to create good habitat for a diversity of wildlife species. Young forests and brushy areas are in short supply on the national forests and, as a result, many species that need these areas to breed or to obtain food are in decline. These young forest areas are listed as a priority habitat in the Commission�s Wildlife Action Plan. The proposed management areas provide options to create young forests as well as provide for other types of habitat needed for wildlife. Some groups have concerns about the proposed management areas, believing that they promote industrial logging and extensive new building of roads, as well as ignore important areas such as trails and recreation areas. 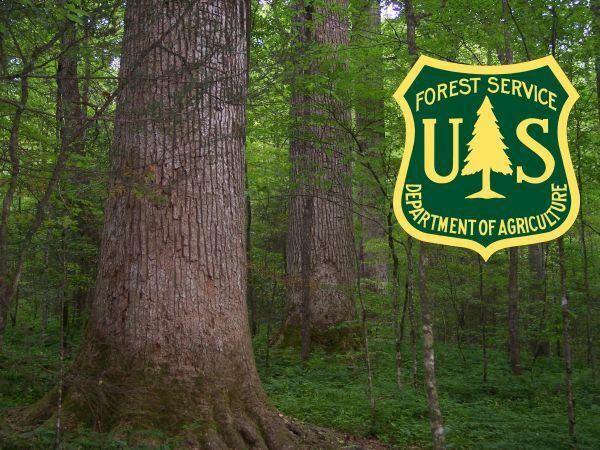 For nearly a century, the USFS has been managing national forests, restoring once cut-over lands with the goal of improving the health, diversity and productivity of forest ecosystems � a goal that Warburton says the USFS has exceeded. Public comments can be emailed to NCPlanRevision@fs.fed.us, until Dec. 13. For more information about the Nantahala and Pisgah Forest Land Management Plan, the public is encouraged to visit www.fs.usda.gov/nfsnc. �Everyone who enjoys or supports wildlife, such as sportsmen or bird watchers, is encouraged to support the proposed management areas that help conserve wildlife diversity, interior forests, and connections between habitats,� Warburton said.